I teach how I would like to be taught. After many experiments and years of teaching, I have found my own style as I figured out how to do it in an interesting and engaging way. 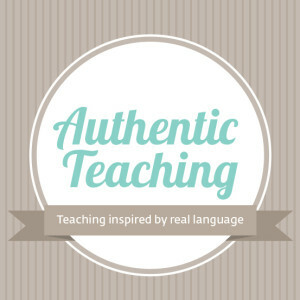 I prepare my own teaching lesson plans based solely on authentic resources because I am deeply convinced that they are conducive to language learning. Lessons based on authentic resources confront my students with real language used in real life outside the classroom and give them a great sense of achievement. In my classes language is not a goal in itself but a tool to learn about the world and that is how I prepare lesson plans which you can find on our website. I choose engaging and relevant topics which make difference and help my students discover new things. I find my work extremely rewarding and I want to share my approach as well as my teaching resources with other fellow teachers. Language learning is a fascinating process of personal grow that I can observe while teaching English and German. In my humble opinion, it is extremely important to expose learners at all levels to real language. I encourage and assist them to leave their comfort zone so that they are not afraid of using their English. My lessons are designed to make a difference, inspire and motivate. I feel proud and satisfied when after class my students think and talk about the topics and materials I prepared for them because they find them so engaging. Don’t hesitate to use my handouts to spice up your lessons!